A Smart car battery charger reportedly started a house fire on Monday night, according to officials. The blaze caused approximately $200,000 in damage to the owner’s house and garage, which is worth $500,000. The fire originated in the garage before traveling to the Estero, Florida home’s attic. Luckily, firefighters were able to stop the inferno before it spread to the rest of the three-bedroom home. No injuries were reported. Florida fire officials concluded on Tuesday that the Smart ForTwo Electric Drive's battery charger caused the blaze. Spokeswoman Susan Lindenmuth stated that the vehicle was burnt so badly beyond recognition that officials could not identify its make or model. According to Lindenmuth, it was the first time her department had ever responded to a Smart car fire in her eight years working for Estero Fire Protection & Rescue. Aside from the fire official’s investigation, the homeowner’s insurance company is also currently examining the fire. In particular, the insurance company is conducting tests to determine whether the fire was caused by the car itself or the battery charger. Homeowner Lisa Schardein told a Southwest Florida NBC affiliate that her husband Richard had installed a new charger just one day prior to the incident. “It was the only thing that was different. It was such a small device. I remember seeing the box from RedEx,” said Schardein. With this fact in mind, Lindenmuth is urging homeowners to read their owner’s manuals prior to charging their vehicles. There are currently two ways to charge an electric vehicle at home. EV owners can either utilize the standard 120-volt home outlet or purchase a 240-volt home charging dock. Smart is not alone in its current fire woes. Fellow electric automaker Fisker was recently involved in a pair of vehicle fires. In May, a faulty Fisker Karma battery was blamed for causing a Texas house fire, but the National Highway Traffic Safety Administration later ruled out this early determination. In August, a Fisker Karma caused a grocery store parking lot fire in Woodside, California. Fisker later found that the luxury hybrid’s cooling fan was the culprit. Specifically, the cooling fan had suffered an internal fault, which caused it to fail and overheat. Fisker’s investigation resulted in the recall of 2,400 Karma plug-in hybrids one week after the fire. As was true with the Fisker Karma fire incidents, the jury will ultimately be out until Smart and the NHTSA investigates the fire. Stay tuned for more information as it continues to unfold. Originally launched in America in 2008, Smart is an automotive branch of Daimler AG that specializes in microcars. There are currently four Smart ForTwo models available: the Pure Coupe, Passion Coupe, Passion Cabriolet and Electric Drive. This is me guessing .. however this seems to be the key factoid: "her husband Richard had installed a new charger just one day prior to the incident" What if the husband, Richard, had a sense of self-competence in his abilities as an electrician and installed the charger himself but made a mistake? I've talked with charging station vendors who have insisted charging stations be installed by electricians, because of the risk of fire if they're installed incorrectly. David's likely correct here. However, it does point out the fact that the instalation of the charger is part of the ownership costs of an electric car. Based on my experience having a generator hookup installed, and some other things like that in my home here in MA, I would say that is a $300 job minimum. At $4.00 per gallon, a Prius or Lexus ES400h can go about 3750 miles on that when converted to gasoline. So about 1/3 of a year. If the charger itself costs $600.00 then the first year of gas in your Prius is "free" if you want to think of that way, compared to an electric car. When thinking of carbon emissions, don't forget the 9 mile per gallon van that the electrician drives, the energy consumed making the charger, a nd the energy and CO emmitted by the firetrucks that went to Richard's home. WBBH reports the homeowner as saying the fire was possibly started by a data recharger delivered through FedEx which was plugged into the car. It's hard to imagine such a small device for recharging one's phone being responsible. 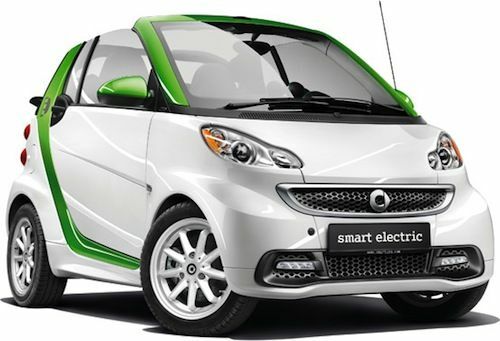 I don't see or hear mention on the linked story (SWFL NBC affiliate) that the Smart was electric. Those don't even exist yet, except for an extremely rare custom retrofit. The device that was installed could easily have been third party battery tender type device for the car's starting battery - those are usually very small, where a 220V EV charger is a rather significant cable. Shorting or crimping a battery tender wires could start a fire. It is used to keep the battery "at optimum charge" as stated in the other article. An EV does not ship without a charger, so I'm almost certain this was a simple battery tender and someone got their facts wrong. And if that's the case, it changes the entire tone of the article from "small car could explode at any moment" to "small $20 charging device malfunctioned." The author may have some incorrect information, but this is the quote I think is key "Florida fire officials concluded on Tuesday that the Smart ForTwo Electric Drive's battery charger caused the blaze"
Check out both links that I included. The News Press link, which is a Southwest FLA publication states "The fire, which damaged several rooms in the home at the 20000 block of Montessa Court, began in the garage where a two-seat electric car was being charged." The ED is the electric Smart model. The article refers to it multiple times as an electric car. There's also a new NBC video, which I linked to the story explaining that the battery was supposed to keep the vehicle at optimal charge. What's with all the stories that try to pin a fire on an electric car? The Smart EV is not even being sold yet. They are just now taking pre-order registrations. The car in question was a gas version. The owner was charging his 12v battery.